What Does "Puttable Upon Death" Mean on a Bond? In the world of investments, stocks are the most exciting, what with people standing in pits at the stock exchange yelling and gesturing and throwing confetti. Bonds are the shy guy in the corner -- sleepily kicking out income payments twice a year, typically with a lower rate of return than stocks. Because of this, bond issuers add "sweeteners" -- incentives and features to make them more attractive to investors. The "death put" is one of these. Indicated by the phrase "puttable upon death" on the bond certificate or prospectus, a "death put" bond allows the bondholder's estate to redeem the bond for its full face value, even if the maturity date is far away. 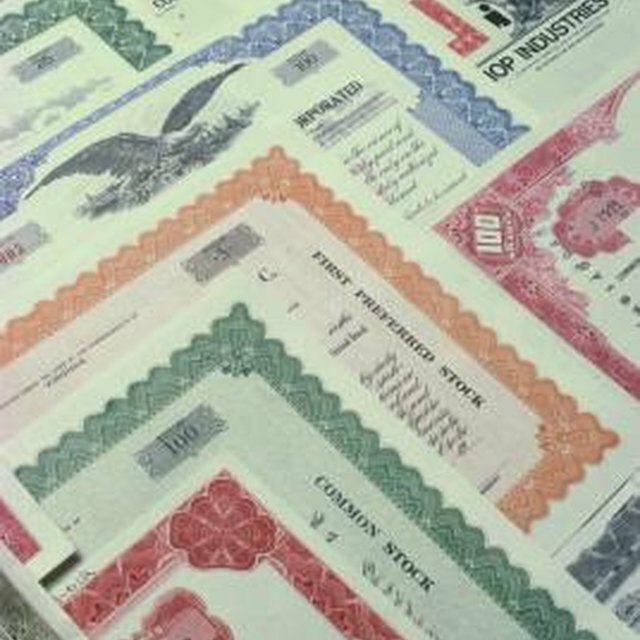 The practice was originally instituted by the U.S. Treasury on "deathbed" bonds, also known as "flower bonds." People would buy the bonds knowing that the principal value of the bond would be available for their loved ones once they passed on. Currently, the option may be added to any type of bond and is also known as a "survivor's option." If you hold regular bonds that don't have a survivor's option, your heirs have two choices: sell the bond on the secondary market or hold it until maturity. If interest rates go up, the bond value will drop and your heirs will take a loss if they sell. Holding the bond may not be especially practical, especially if the maturity date is many years or even decades into the future. With a death put, you can return the bond to the issuer. The issuer will buy it back at it's full face value. Most survivor options have strings attached. There may be a required holding period before heirs can exercise the option. In many cases, bond issuers will only take back a small percentage of bonds in any given year, and may limit the dollar value of redemption for each estate. Finally, bonds with sweeteners tend to have lower interest rates than regular, "plain" bonds. If you inherit a bond with a death put, there are two ways to redeem it. If the bond is held by a broker or money manager, that company can redeem the bond on your behalf. Otherwise, you'll need to look up the bond issuer and work directly with them to redeem the bond. In either case, you are required to provide documentation of ownership and of the owner's death, along with proof that you are the executor of the estate or the rightful inheritor of the bond.